* All Business rates exclude VAT and Residential Rates include VAT. * Minimum contract length is 24 months. 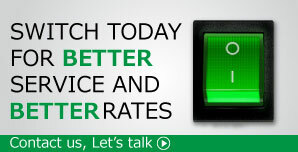 * Unlimited Broadband comes with a fair usage of 100 GB per month. 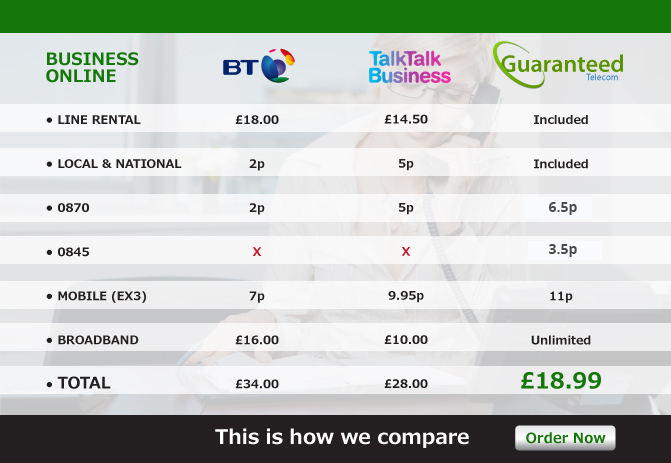 Rates used in comparison to BT business phone line (2 years contract) and Talk Talk Business phone line (2 years contract) is taken from their website.